So I finally took the plunge and started learning the proper use of Maya hair system, spent roughly about 10 – 12 hours on learning it to a satisfactory result. Forget the paint FX tool for styled hair like this, you have to use nurbs curves to get the uniform style. No dynamics have been applied on the hair system above yet. 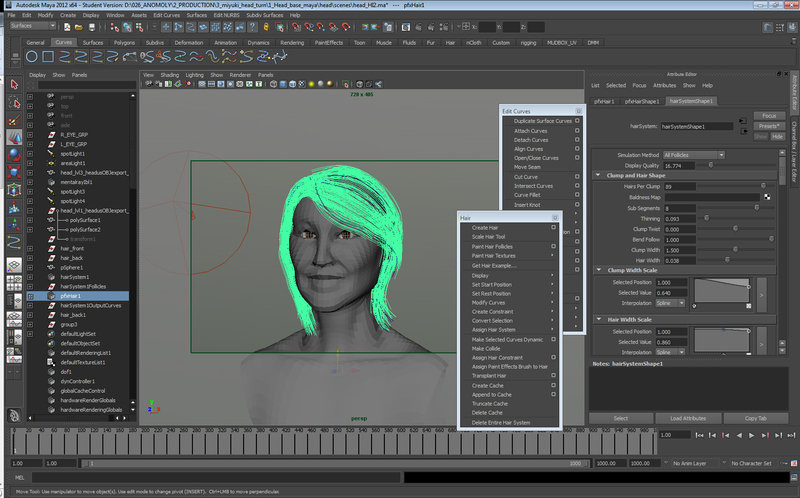 Check out this tutorial on Youtube if you want to learn how to style Maya hair. Just like everything in CG it takes a lot of time to tweak to get the style you want, but I really enjoyed it.